This is the Hangar 9 Piper J-3 Cub 40. 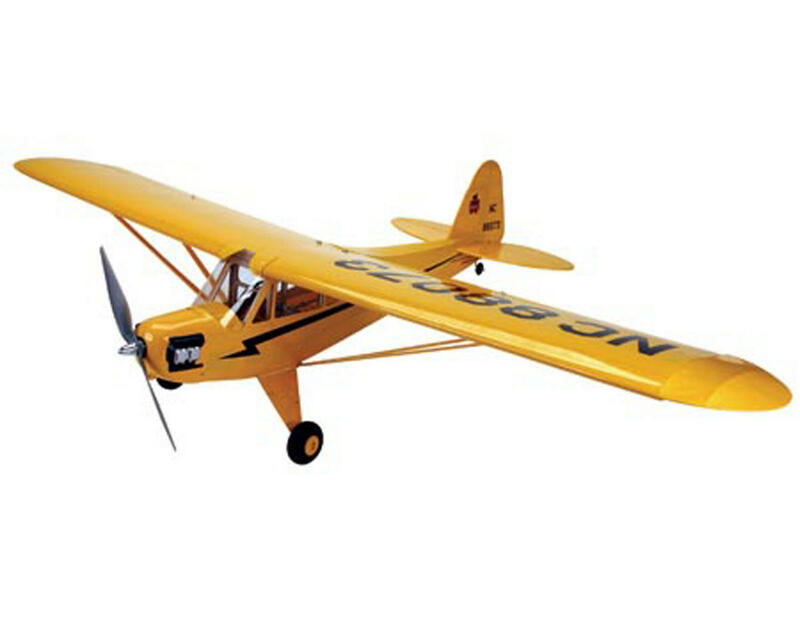 The Piper J-3 Cub was the most popular commercial aircraft of the 1930's. Barely seven yards long and instantly recognizable in its yellow-and-black paint scheme, this nostalgic favorite became the foremost trainer of the era, eventually training 80% of the United States' military pilots by the end of World War II. A new Cub was rolling of the assembly line nearly every 20 minutes, and many of these beloved airplanes are still around today. Hangar 9's .40-size Piper J-3 Cub ARF captures the classic scale lines and smooth flight performance of its grandfather, a full-scale Cub owned by Pat Hartness, whose Triple Tree Aerodrome hosts the annual Joe Nall and Don Lowe Masters RC events. 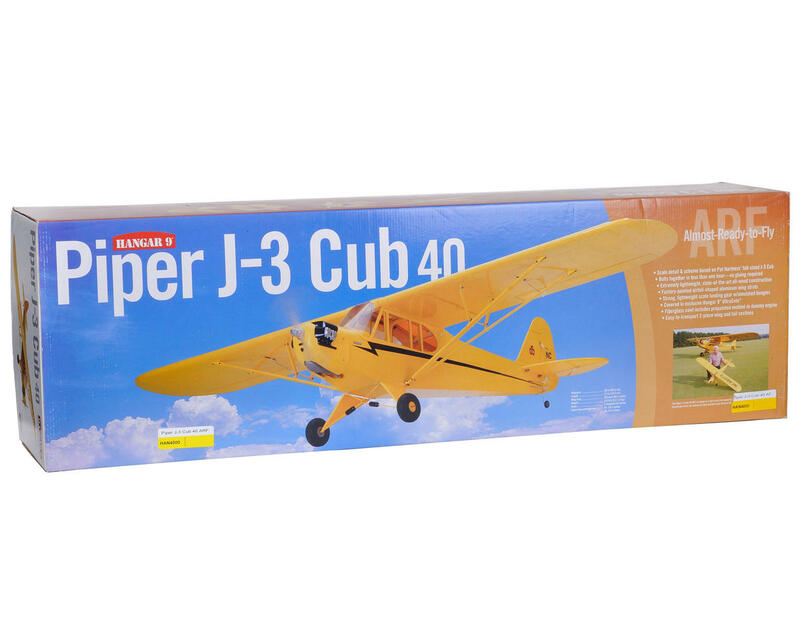 Constructed from top quality balsa and lightweight plywood materials and showing off a vibrant Cub Yellow UltraCote scheme, this scale Cub will provide aviation buffs with hours of sport-flying fun.